As you’d expect, we try to keep our small print fair, reasonable, and as simple as we can. When you make a booking with us, we take it to mean that you’ve read, understood and agreed to our terms and conditions. You can download our terms and conditions from the links on this page and browse at your leisure. If there’s anything you’re not sure about, please feel free to call our travel centre on 01736 334220. 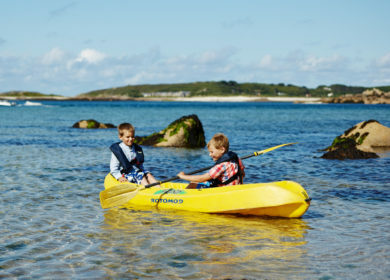 From 3rd April 2018 Isles of Scilly Travel launched new passenger Conditions of Carriage, updated to support the changing travel needs of our passengers. Our terms of carriage incorporate a revised Amendment & Cancellations policy. Please take the time to familiarise yourself with our new terms. A. That depends on where you’re flying from. Heading to St. Mary’s from Exeter takes an hour; it’s around half an hour from Newquay, and a mere 15-20 minutes from Land’s End. Q. Are there toilets or refreshments on-board? A. Sorry, no. Since the flights are so quick there’s no time to serve refreshments, and usually no need for toilet facilities. A. Yes, dates, times and routes can all be changed up to 48 hours before you depart, subject to an amendment fee as detailed above. Cancellations are also possible but must have at least 48 hours notice given. Any refunds are calculated based on our terms and conditions. Q. How much time do I need to leave for an onward flight? 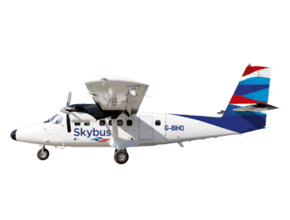 A. Check-in for Skybus closes 30 minutes before departure so be sure to leave yourself enough time to make your flight without needing to rush – the Isles are a place to relax, after all. Allow yourself ample time for collecting luggage, checking in, security procedures, and maybe a cup of tea. 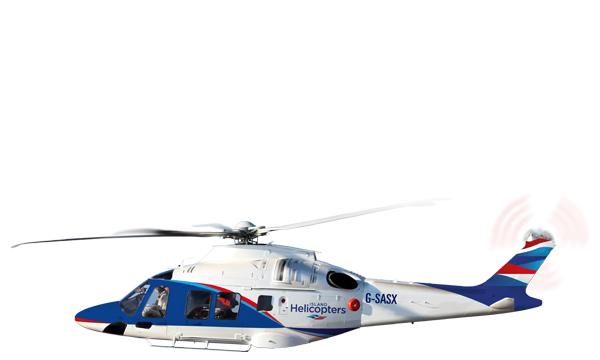 If you need to know the time allowance for a particular transfer, feel free to call us on 01736 334220. 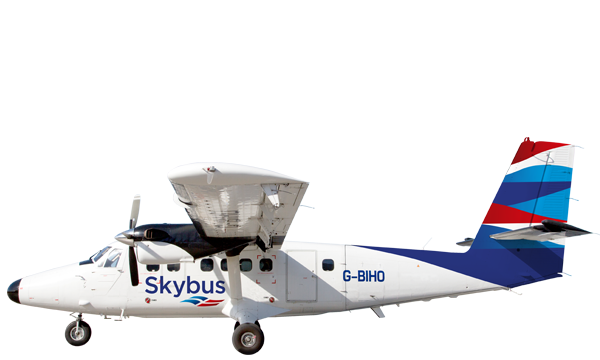 Please note that Skybus cannot be held responsible for any delays, cancellations, or missed departures that may affect your onward travel. Q. What if I’m ill on-board? A. 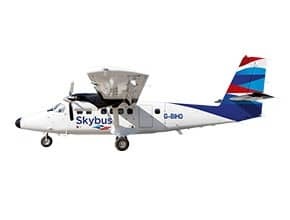 If you’re taken unwell, Skybus crew are trained in first aid and will help in any way they can, though they cannot advise on or administer medication. There are procedures in place for contacting the emergency services in the event of more serious cases. As you’d expect, we try to keep our small print fair, reasonable, and as simple as we can. When you make a booking with us, we take it to mean that you’ve read, understood and agreed to our terms and conditions. Please download our terms and conditions from the links on this page and browse at your leisure. 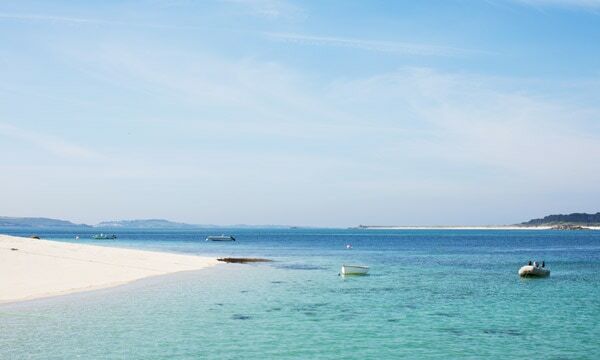 If there’s anything you’re not sure about, please feel free to call our travel centre on 01736 334220. 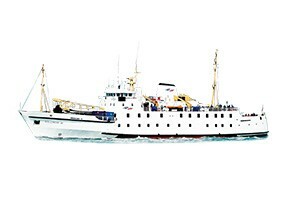 Our terms of carriage incorporate a revised Amendment & Cancellations policy to allow customers to make easy and convenient changes to Scillonian and Skybus bookings online. Q. What’s the crossing like? A. The exact duration of your journey will depend on the tides and weather, but it usually takes between 2 hours 45 minutes to 3 hours. Please allow about another 20 minutes to disembark and collect your luggage. 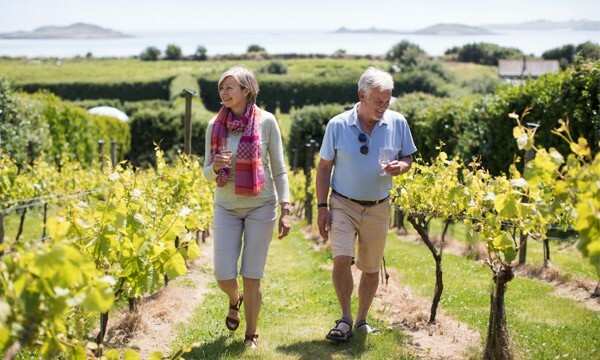 We often have sightings of sea life during the crossing – from dolphins and rare seabirds to basking sharks and even minke whales – along with unique views of Cornwall’s iconic coastline. As the ship makes its way into the Atlantic, it passes a point where several ocean currents meet, so the sea can occasionally get choppy. As with any sea crossing, it might be a good idea to bring some medication with you if you’re often prone to motion sickness (we don’t keep any on board ship). Q. What facilities are onboard? A. You’ll have a choice of two licensed café bars, serving a selection of hot and cold snacks and drinks. Naturally, the ship has toilets and baby changing facilities, along with a specially-equipped bathroom for less mobile passengers. With 402 comfortable, reclining seats there’s plenty of room to relax – and when the weather’s fine, there’s open-air seating on deck. Q. Can I take my car with me? 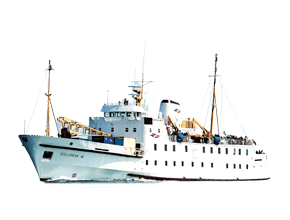 A. Scillonian III is not a car ferry, and there is no roll-on, roll-off available. But don’t worry. 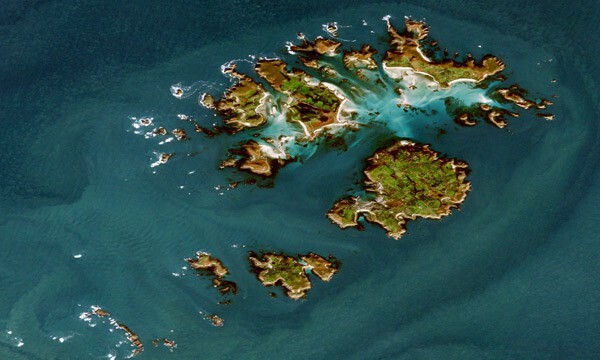 The largest island is only 2 miles wide, and they are very easy to get around, with many scenic routes accessible by foot or by bike. 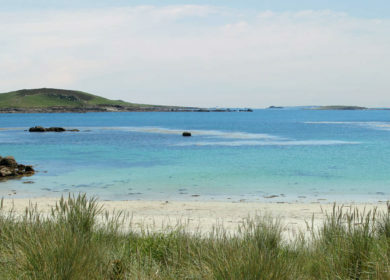 If needed, buses, taxies, boats and golf buggies are all available to help you explore everything the Isles have to offer without the need for a car. In the very rare cases where a car is absolutely necessary, it must be booked as freight, as loaded and unloaded by crane. A. 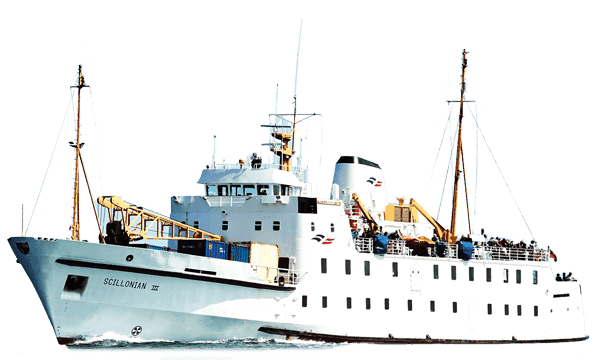 If you do fall ill or suffer an injury, the ship’s crew are trained in first aid and will help in any way they can, though they cannot advise on or administer medication. There are procedures in place for contacting the emergency services in the event of more serious cases. A. Yes, dates, times and routes can all be changed up to 48 hours before you depart, subject to an amendment fee as detailed above. Cancellations are also possible with enough notice. Any refunds are calculated based on our terms and conditions.